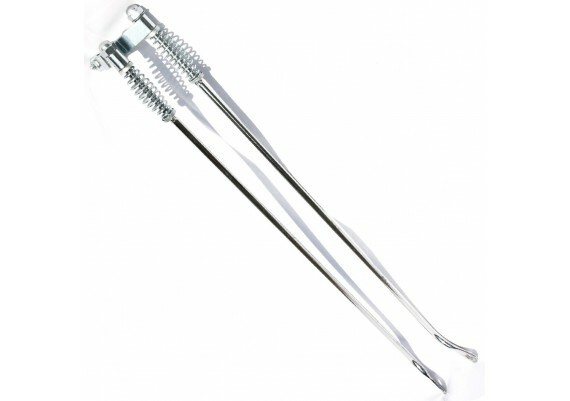 Forks and parts	There are 13 products. 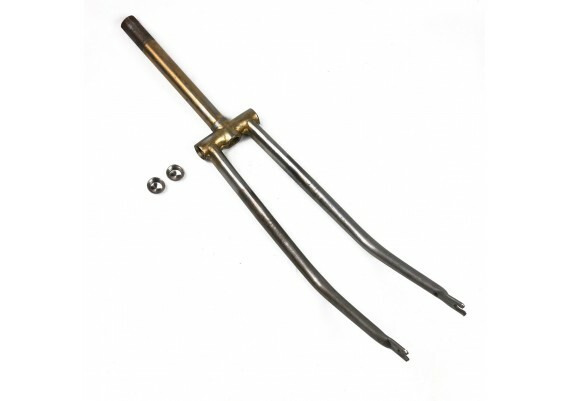 Phillips fork for 26" (650) wheel bicycle and 20" (51cm.) frame size, unpainted. 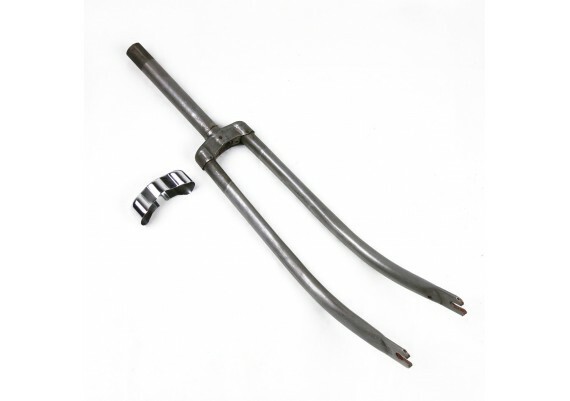 Phillips fork for 28" (700) wheel bicycle and 22" (56cm.) frame size, unpainted. 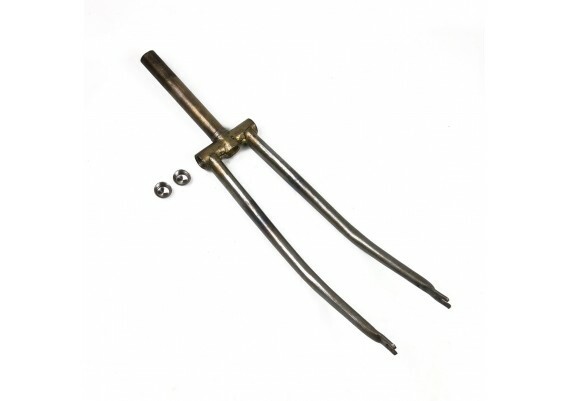 Phillips fork for 28" (700) wheel bicycle and 24" (61cm.) frame size, unpainted. 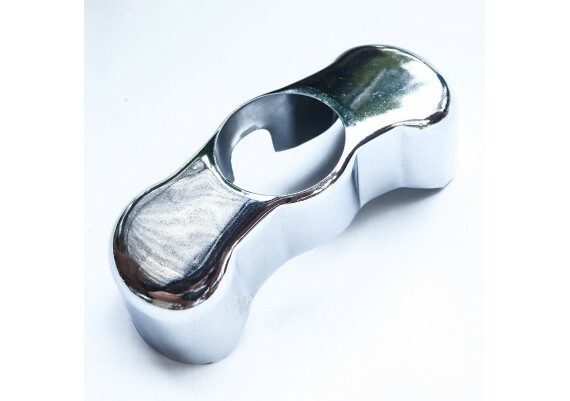 Chromed steel crown for Phillips type fork. 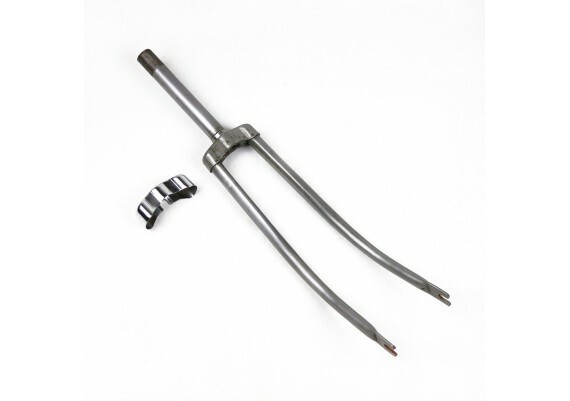 Raleigh fork for 26" (650) wheel bicycle and 20" (51cm.) frame size, unpainted. 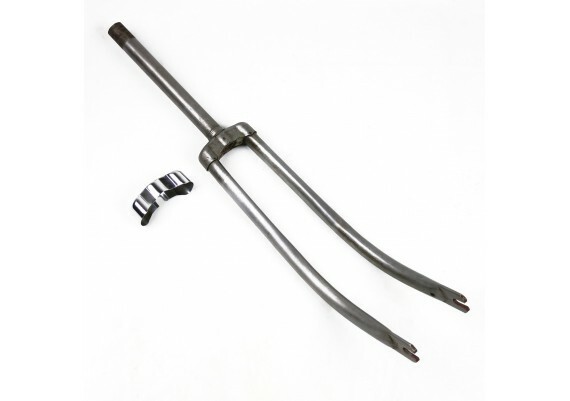 Raleigh fork for 28" (700) wheel bicycle and 22" (56cm.) frame size, unpainted. 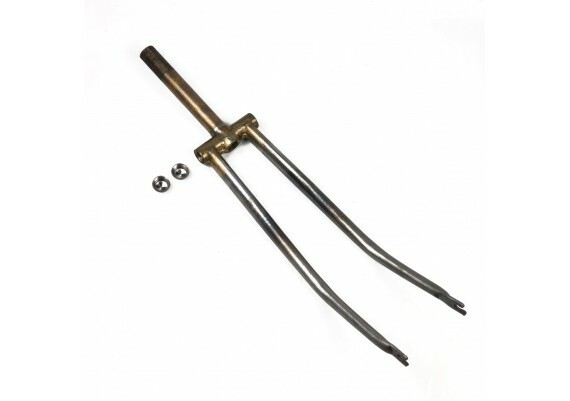 Raleigh fork for 28" (700) wheel bicycle and 24" (61cm.) frame size, unpainted. 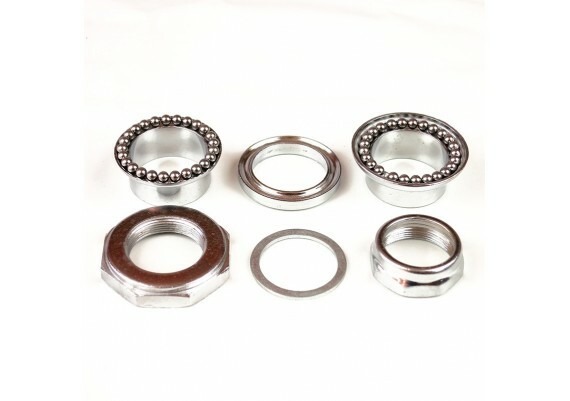 Headset for Philips type fork of 25.4mm (1 ") and 24 TPI with 1/8" balls. 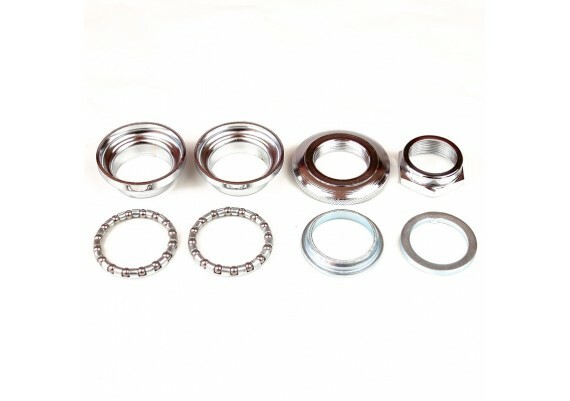 Headset for Raleigh type fork of 25.4mm (1 ") and 26 TPI with 5/32" balls. 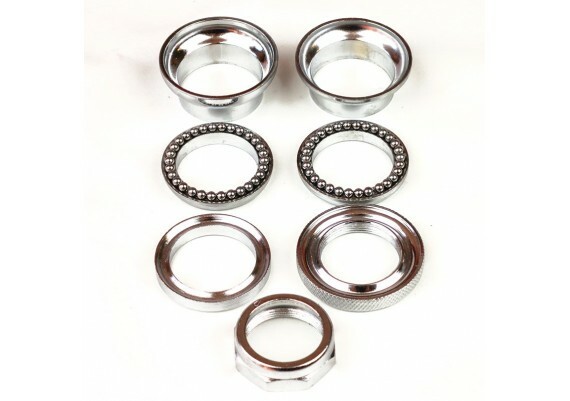 Headset for Philips type fork of 25.4mm (1 ") and 24 TPI with steering bearings. 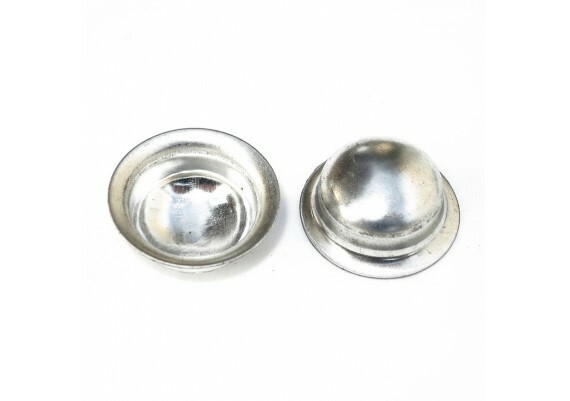 Caps (2) made of zink steel for Raleigh type fork. 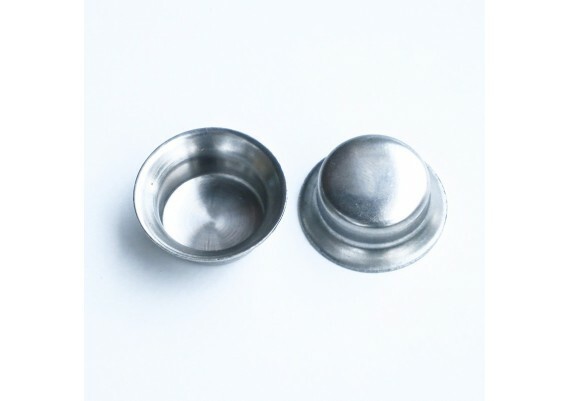 Caps (2) made of stainless steel for Raleigh type fork.